This Quality emergency ambulance chair stretcher for transporting patients with CE certification is an apparatus used for moving patients who require medical care.can be changed into a wheelchair when pace limited in a elevator. 1. Both ends can be tilted the height can be adjusted twelve high positions. When loading the emergency ambulance chair stretcher up to the ambulance. 2. The bed surface is made of waterproof foamed cushion, the height of the backrest and the knee part can be adjusted by pneumatic spring which makes the wounded feel comfortable. 3. The surface can be used as a carrying stretcher when the emergency ambulance chair stretcher is separated from the main part. 4. 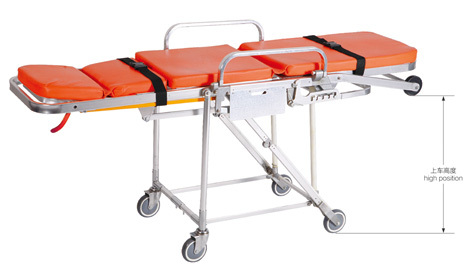 The emergency ambulance chair stretcher has the vest-style safety belts, safe and reliable. 5. 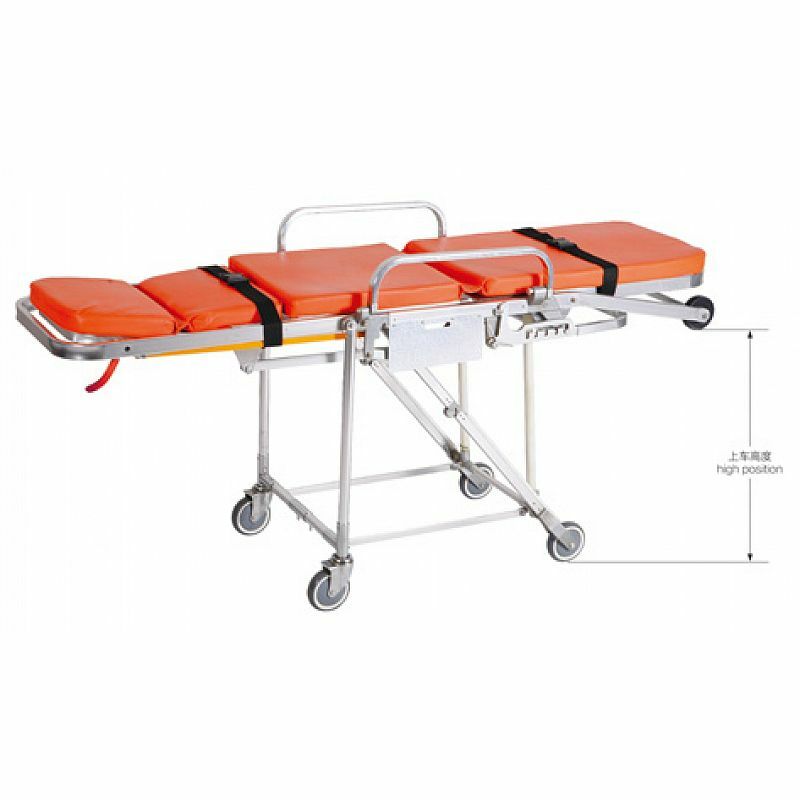 Only need one person to operate the emergency ambulance chair stretcher, sending it to the ambulance car, the surface can be used as a separated stretcher. 6. The mechanical folding legs are controlled by the handles on both sides. The emergency ambulance chair stretcher can be locked up after being aboard through the chute. 7. The emergency ambulance chair stretcher is made of high-strength aluminum alloy material, it is light-weighted, safely-used, and easy to disinfect and clean. 8. It is mainly used for hospitals, ambulance cars, and outdoor carrying patients. 9. The size of main castor: Φ125mm wide castor.